GARY, Ind. 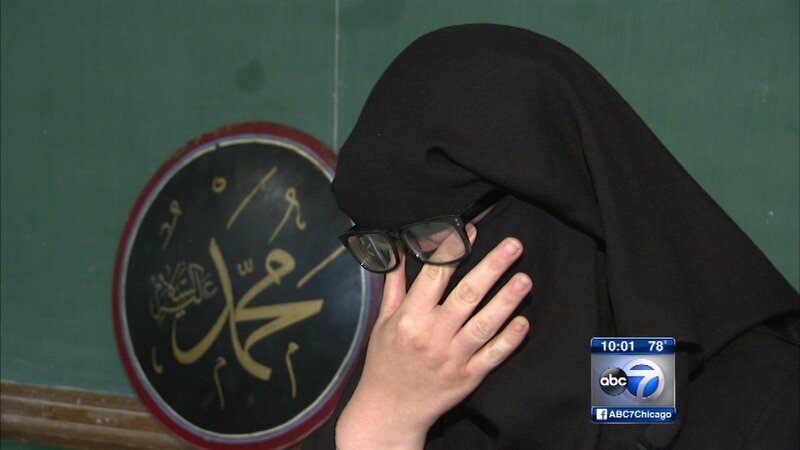 -- A dollar store chain says it regrets that an employee told a woman to leave one of its Indiana stores because of her Muslim face veil. A woman from Gary, Ind., says she was discriminated against and kicked out of a Family Dollar store for wearing a niqab and hijab, and she caught the exchange on video. Store owner of Dollar Express says it's addressing the incident with the employee and is working "to ensure that no customer is ever treated this way again." The Charlotte, North Carolina-based company says it will reach out to Safi. Sarah Safi posted video on Facebook on Monday showing her exchange with a clerk at a Gary, Indiana, store. In the video, a manager tells Safi that she has to remove the veil covering or leave. While her children waited in the car, the Family Dollar employee told Safi if she didn't leave the store she would call the police. "Do I wait for the police to come and let my children see this, or do I go head and just go and let Allah handle it how he sees fit?" she said she asked herself. She left. The worker also had parting words for her as she was on her way out. "I'm really saddened. I was born here, raised here all my life and I've never been to an establishment and been treated like this," Safi said. Family Dollar is currently being bought by Dollar Express.